Saw (2004) BluRay 480p, 720p Two strangers, who awaken in a room with no recollection of how they got there, soon discover they're pawns in a deadly game perpetrated by a notorious serial killer. Hellboy (2004) BluRay 480p, 720p A demon, raised from infancy after being conjured by and rescued from the Nazis, grows up to become a defender against the forces of darkness. 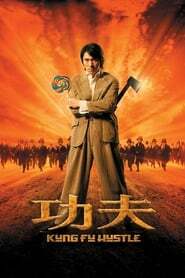 Kung Fu Hustle (2004) BluRay 480p, 720p In Shanghai, China in the 1940s, a wannabe gangster aspires to join the notorious "Axe Gang" while residents of a housing complex exhibit extraordinary powers in defending their turf. Control (2004) BluRay 480p, 720p A sociopath on death row is given a chance to live if he agrees to take part in a chemical behavioral modification program. Immortal (2004) BluRay 480p, 720p In the distant future, Earth is occupied by ancient gods and genetically altered humans. When a god is sentenced to death he seeks a new human host and a woman to bear his child. The Life Aquatic with Steve Zissou (2004) BluRay 480p, 720p With a plan to exact revenge on a mythical shark that killed his partner, Oceanographer Steve Zissou rallies a crew that includes his estranged wife, a journalist, and a man who may or may not be his son. Shutter (2004) BluRay 480p, 720p A young photographer and his girlfriend discover mysterious shadows in their photographs after a tragic accident. They soon learn that you can not escape your past. Blade: Trinity (2004) BluRay 480p, 720p Blade, now a wanted man by the FBI, must join forces with the Nightstalkers to face his most challenging enemy yet: Dracula. Spider-Man 2 (2004) BluRay 480p, 720p Peter Parker is beset with troubles in his failing personal life as he battles a brilliant scientist named Doctor Otto Octavius. The Day After Tomorrow (2004) BluRay 480p, 720p Jack Hall, paleoclimatologist, must make a daring trek from Washington, D.C. to New York City, to reach his son, trapped in the cross-hairs of a sudden international storm which plunges the planet into a new Ice Age. 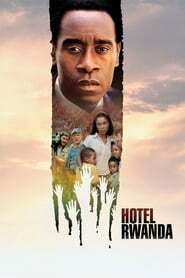 Hotel Rwanda (2004) BluRay 480p, 720p Paul Rusesabagina was a hotel manager who housed over a thousand Tutsi refugees during their struggle against the Hutu militia in Rwanda. Anchorman: The Legend of Ron Burgundy (2004) BluRay 480p, 720p Ron Burgundy is San Diego's top-rated newsman in the male-dominated broadcasting of the 1970s, but that's all about to change for Ron and his cronies when an ambitious woman is hired as a new anchor. Spartan (2004) Bluray 480p, 720p The investigation into a kidnapping of the daughter of a high-ranking US government official. I, Robot (2004) Open Matte BluRay 480p, 720p In 2035, a technophobic cop investigates a crime that may have been perpetrated by a robot, which leads to a larger threat to humanity. Crash (2004) Bluray 480p, 720p Los Angeles citizens with vastly separate lives collide in interweaving stories of race, loss and redemption.